I have whined. I have cried. I have moaned. I have begged, prayed, even stomped my feet. Nothing, nothing seemed to entice the weather to do it’s darn job. Did it miss the memo? It’s the first week of November– not high Summer. And yet multiple checks of the thermostat confirmed that the temperature outside was indeed in the mid 80’s. As if to add insult to injury, it was humid too. Talk about rude. Insulting, even. You had one job weather! I should be cozying up to my old hoodies, drinking hot chocolate, and wearing my fuzziest pair of slippers. What I should not be doing? Sweating– just from walking from my car to my front door. Some benevolent higher force must’ve seen my evident distress and taken my pleas to heart. Yesterday the colder temps slowly rolled in. The day was cool, the night was down right chilly, and to my satisfaction I woke up this morning snug in my quilt with the chill still in the air. It wasn’t just a dream after all. Something this significant? Fall actually feeling like Fall? Now that called for an immediate celebration. And celebrate we did in our favorite fashion– with a heaping helping of our favorite comfort food. Smoky Bacon Broccoli Cheddar Mac & Cheese was just the thing. 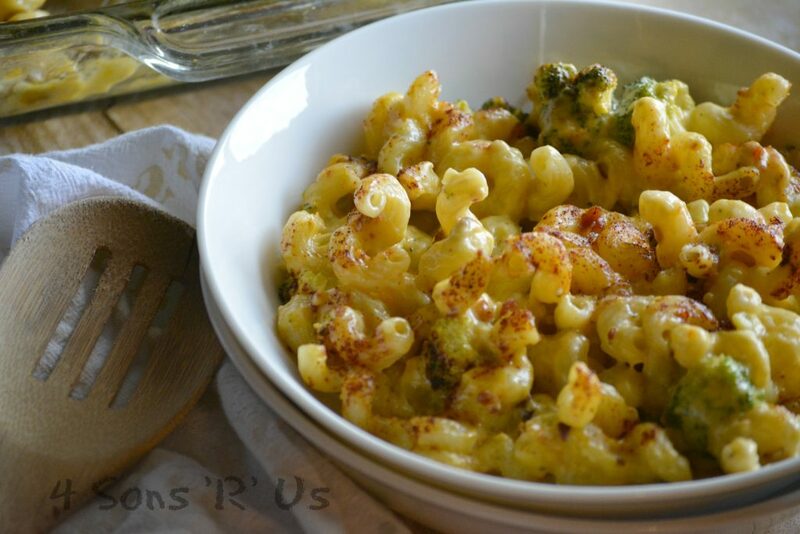 Creamy homemade mac and cheese is made with a mixture of cheddar and Parmesan cheeses with a bit of smoky heat stirred right in. Studded with broccoli and bacon– it’s baked to perfection. 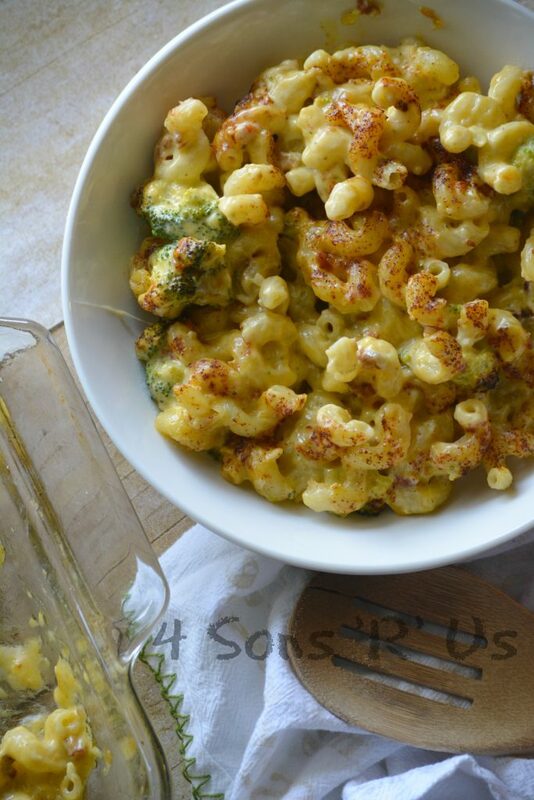 Don’t let the broccoli bit fool you though, this is old-fashioned comfort food to it’s core. 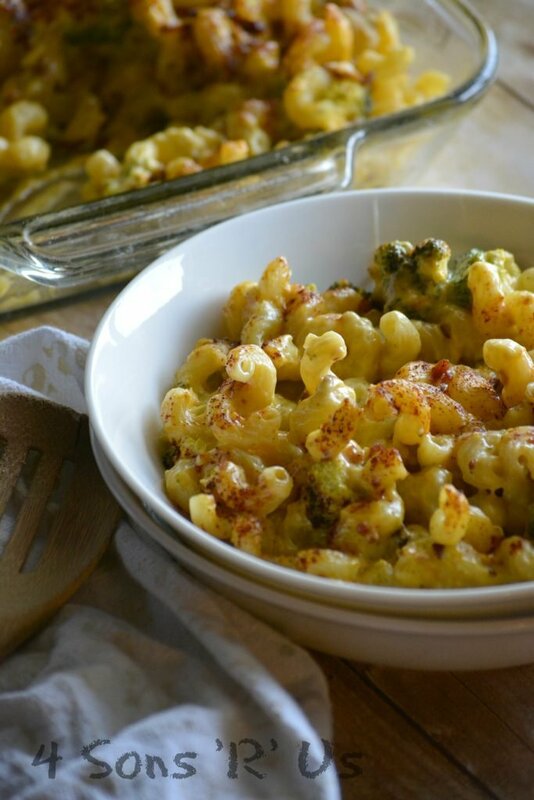 A heaping helping of this Smoky Bacon Broccoli Cheddar Mac & Cheese is the perfect thing to warm you up from the inside out on the coldest of evenings. Enjoy it as the star of the show at supper or as a yummy side dish to your entree of choice. 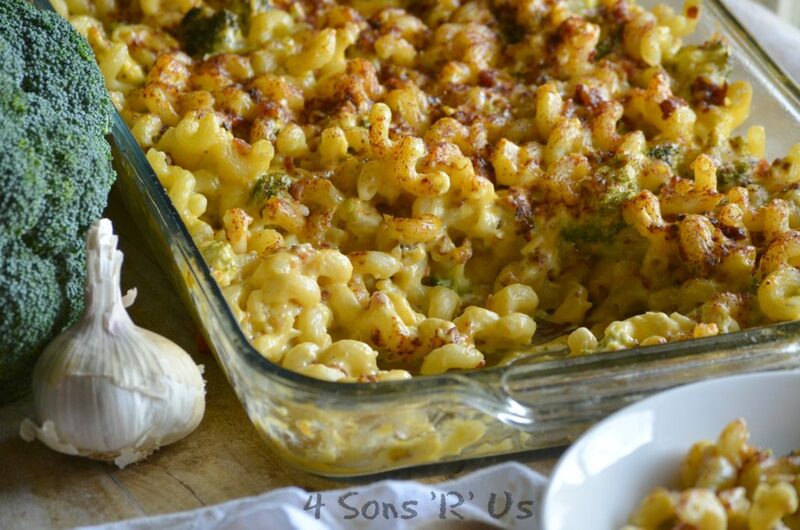 Creamy homemade mac and cheese is studded with bacon and broccoli, with a hint of smoky heat stirred right in. Add the butter to a medium skillet over medium heat, stir in the diced onion and cook-- stirring occassionally-- until the onions are beginning to brown. In a large bowl, add the pasta, soup, cheeses, broccoli, mayonnaise, milk, onion, garlic, half of the bacon, smoked paprika, salt, and pepper. Stir everything together, just until evenly combined. Spray a 9x13 baking dish with non-stick cooking spray. Pour the mac and cheese into the pan and use a spatula to smooth it out into an even layer. 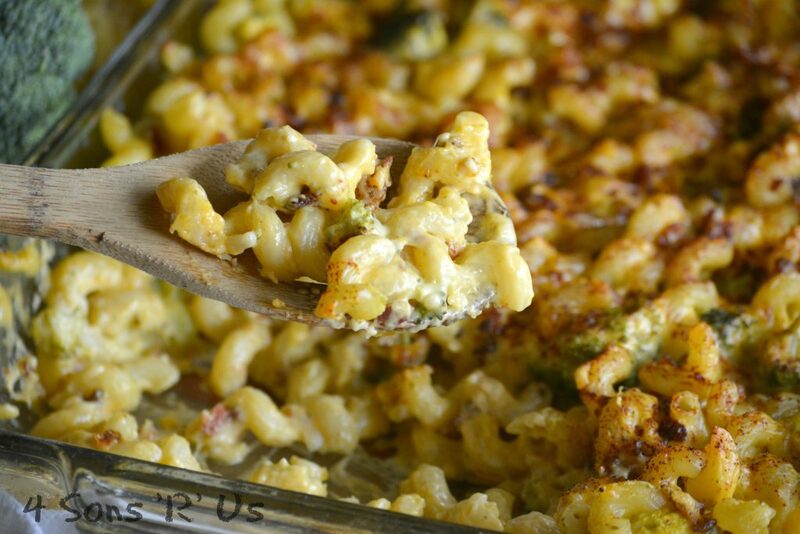 Sprinkle the chipotle powder and the remaining bacon evenly out over the top of the macaroni. Bake the mac & cheese at 350 degrees for 30 minutes. Love the idea of bacon in there, and broccoli is never bad either!